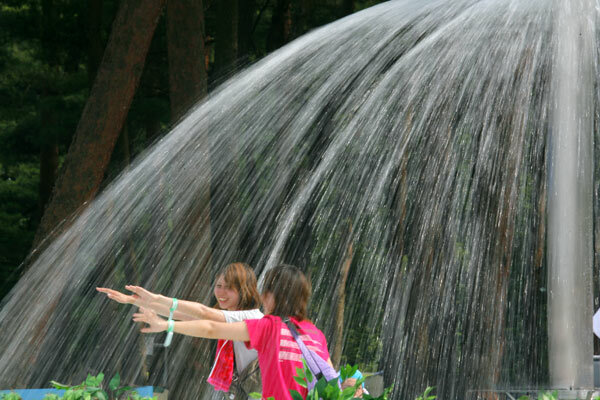 What do you do for summer fun? 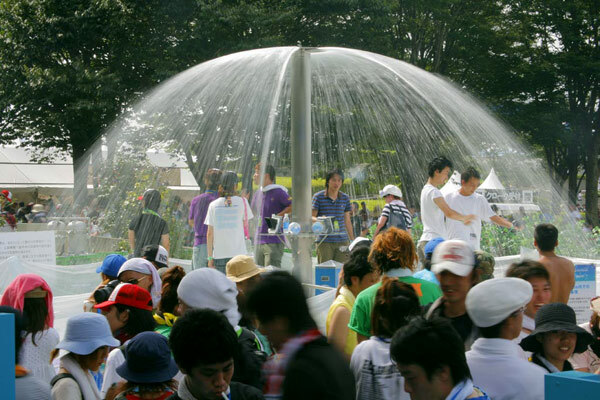 On a hot day like this, nothing could beat the water dome, I believe! 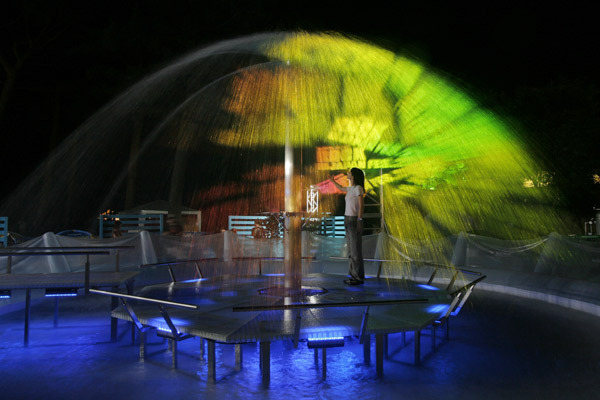 From 2007 to 2009, the dome fountain turned into oasis for music lovers. 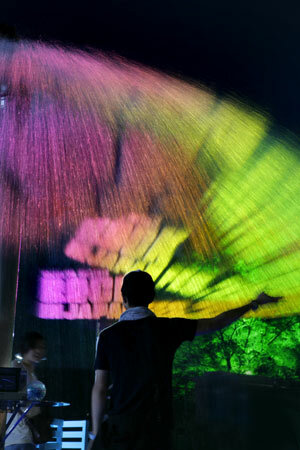 We installed the water dome in the open-air music festival, “Rock in Japan Festival” and “Rising Sun Rock Festival”. 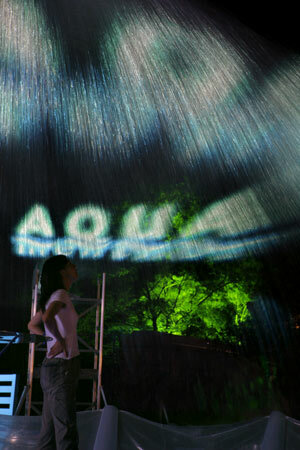 At there, the water dome was used as an smoking section. 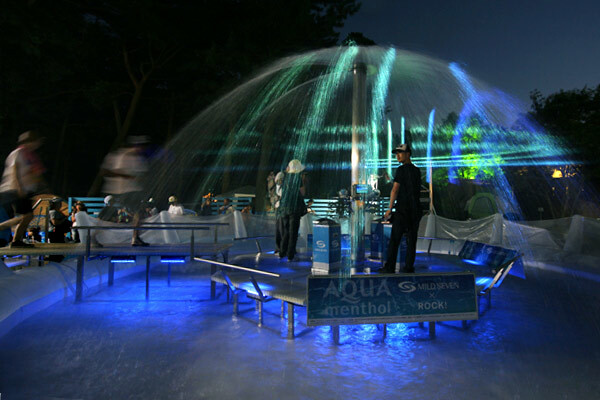 You could say “Smoking on water.” If you need something cool for your garden, please don’t hesitate to contact us. 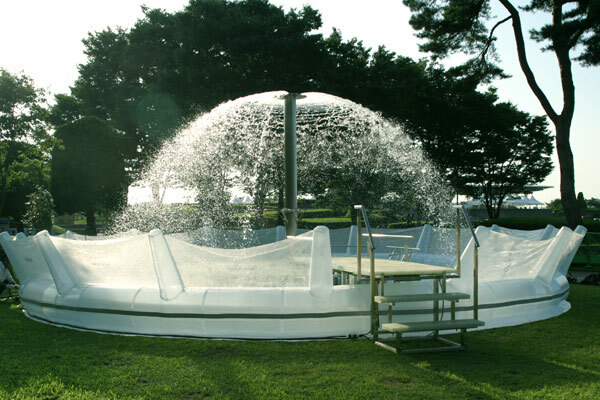 3 Responses to " ウォータードーム, Water dome Project 2007-2009 "
Hi Good-morning to you, I am A R John from Bangalore India, I own a business in Landscaping and Interiors, please send pdf format of Waterdome and other products catalog and its costing in USD. I’ll immediately clutch your rss when i are unable to find your e-mail subscription hyperlink or newsletter service. Do you’ve any? Please allow me realize to ensure I might just subscribe.